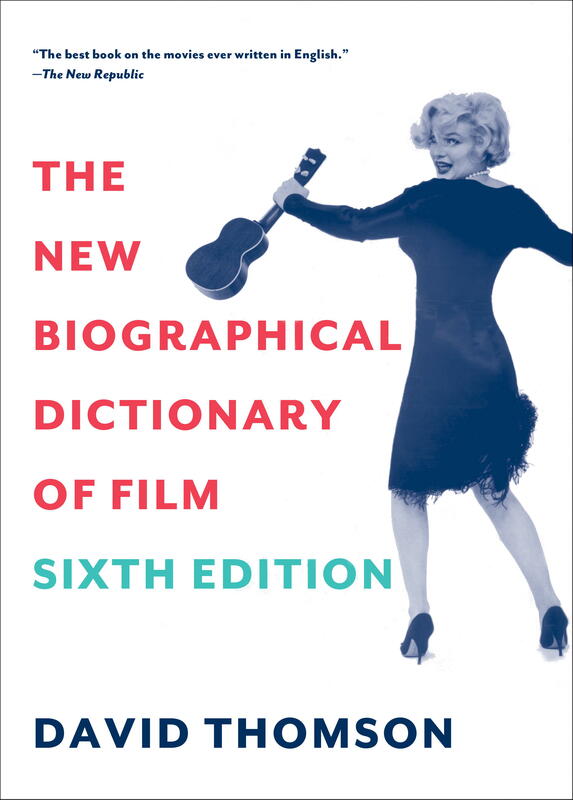 Passionate, dry, compassionate, contentious, tender, cranky, coolly authoritative and sometimes downright pissy, David Thomson’s “Biographical Dictionary of Film” is not just one of the best-written books on cinema in the English language, it’s also maybe the most emotional. Conceived in 1971 as, in Thomson’s words, “a modest encyclopedia on film,” it has grown into an idiosyncratic reference and the record of a singular sensibility. 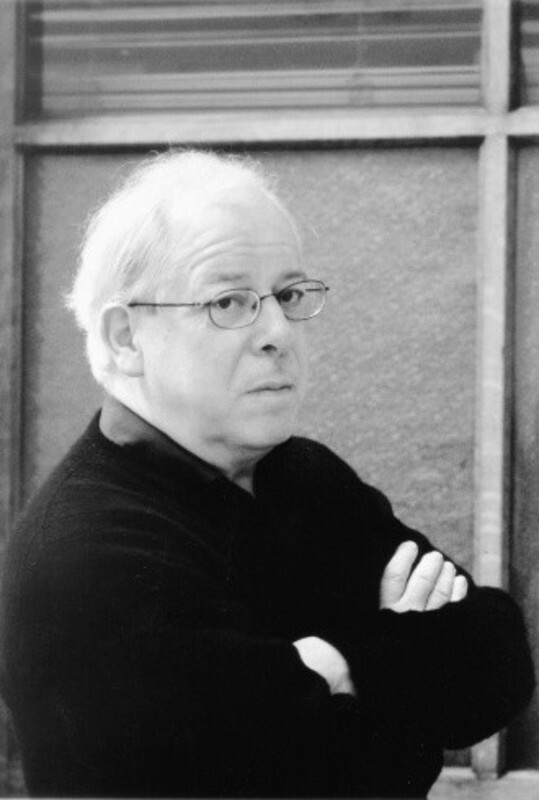 The British-born Thomson, who’s lived and worked in the U.S. for four decades, is an indefatigable watcher and writer who’s never been afraid of addressing the ambivalences in his own enthusiasms, or expressing his disenchantment with ostensible sacred cows (see, for just one instance, his entry on John Ford; or at least the first half of it in the latest edition; he makes some thoughtful concessions to Ford’s artistry in a continuation of the entry). The newly published Sixth Edition finds Thomson as droll as ever (“in short, he works very hard,” he impishly observes of Benedict Cumberbatch in one of the book’s over 100 new entries), but also obliquely addressing the contemporary crises in both film and film appreciation. Subjects that we touched on in a conversation we had around mid-September, the highlights of which are below. Most books that have a reference component are said to be argument solvers, or argument settlers. This is a book that is an argument starter, arguably. DAVID THOMSON: I would agree. Was that the original conception going back to the First Edition, or is that something that evolved? It was a long time ago, but the first edition, the book as contracted, was intended to be simply a reference book. And, in the process, it developed, and I guess it was the way I wrote it, my approach, my attitude, that was added to the book. I think it was also very much to do with the fact that I had started teaching at the same time; entries grew out of conversations and arguments in classrooms. It was a book that it had the format and the appearance of a reference book, but as you say, it was a book that started arguments. And I think more than anything else, it has always been my wish to have the book stir people up so that they begin to maybe think a little more deeply, and also to sort of start a conversation with them. About the films and about the filmmakers and so on. So it has had this sort of dual nature from the beginning. And I suppose that's what makes it odd. And what makes some people like it and some people dislike it. I wanted to ask you about your approach in terms of revising it. In the L.A. Review of Books last year there was a conversation you had with Greil Marcus about your prior book, “The Big Screen,” and you spoke of it having been difficult for you to write. That got me wondering about your approach to the dictionary, whether it’s something you come back to purposefully for a period of time, or are you thinking about it and adding to it progressively in between editions? Well, it's there all the time. And I will get letters and I will get e-mails. And I will just meet people who stop to talk about something they read in the book. And so it's there all the time. But I wait until the publisher says, let's go again, before I actually embark upon the process of writing and really deciding what to do in the next edition. But that does grow out of a sort of constant attention and feeling about the book. Most of the time in my life and work, I am writing about films or talking about them or thinking about them. So yeah, it goes on all the time. The related question is, coming off of a project as difficult for you as “The Big Screen” was, is returning to the dictionary something you welcome? Is it a salve in any way? Well, you've been doing this a long time. And I guess over all, I would say that to be involved in thinking and talking and writing about film in my lifetime has been a curious process of up and down. When I began, there were very, very few books on film. And there was nothing like a proper discourse on film. And indeed, there was not a great deal of widespread knowledge of film history. No, I tend to agree. Yeah. OK. Well, now is a difficult time. And all the more difficult if you were there when the interest came in. It's sort of like the tide coming in and then going out. So, that is distressing and I was trying to deal with a lot of that in “The Big Screen.” And, to some extent, it sort of makes you ask the questions whether you feel you've spent your life well. That kind of thing. Not to be too solemn about it, but that is part of the difficulty I had on that book. And I think that's an ongoing thing. It's there all the time. And moods will alter; moods will vary. I don't think the dictionary is a salve. I feel myself at the moment that if there is to be a Seventh Edition of the dictionary, and God knows there may not be, but if there were to be a Seventh Edition, I think it's a moment when I would want to really step back and reconsider the larger medium and bring a lot of people in that I have not sort of really considered before. Because I think the nature of film has changed so much. And in some ways, the dictionary is still an updating of an attitude that goes back to the 1970s, which was a pretty heady time for film commentary. And that has changed. And I am not sure that the dictionary has fully acknowledged that. If there were to be another edition, I would hope to do that. But that ask a lot of questions about publishers, my health, the state of the world. None of which is a particularly rosy portrait. The interesting thing, looking at the Sixth Edition and contrasting it with some prior editions, the entry on Madonna, for instance, which is very definitive in terms of your particular perspective on Madonna and very vivid and memorable. But today, 2014, Madonna, like Johnny Carson, who's also the subject of a very fascinating and meaty entry in the dictionary, she's farther back in the cultural rear view, as it were. So it might befuddle a younger reader whose experience has not been quite so inundated with Madonna as ours has been. Oh, I think that's a tremendous point. And it's part of the problem, because the book exists as a thing in time. And you sort of approach it thinking, well, I shall update it. And you go through the various processes of updating. But to go back to what I said before, maybe what it really needs is to rewrite the whole damn thing and start again. Because it's absolutely true that there are essays in the book that take, oh, let's say someone like Gary Cooper, as a fantastic iconic presence who was a tremendous movie actor but also represented something in the culture. Well, I have met young people who've never heard of Gary Cooper. And how one deals with that sort of shift and change, I don't know. It may be that it's impossible for the book to do that. But you take a very good case, because when I wrote the Madonna entry, she was current, as you say, and there was a kind of anger about her, I suppose, in that piece, as I remember it, that I couldn't honestly say I feel in the same way today. Because she's not there anymore in quite the same way. Now, someone else, maybe. It’s certain that the quality of her ubiquity was practically unique. You could cite someone like Beyoncé as being similarly there, but it's not quite the same. And it has to do with the particularities of how Madonna presented herself, which you absolutely nailed in ways that a lot of other cultural commentators were not able to, or chose not to. I agree absolutely. And you've put your finger on a real problem with the book. And I don't know the answer until I sort of get to it. I don't know whether I will have the energy that it would take to do a Seventh Edition in the kind of way I'm talking about to you. Because when I did the book originally, which was in the early ‘70s, I had a kind of energy and there was an input. The movies were there week after week. It was a time of extraordinary movies—American movies; movies from all over the world. And it felt inspiring in a way to be doing the book, because day by day almost I was seeing stuff out there that was saying yes, go on, do it, do it. This needs to be done and said. It's certainly not the same anymore. And I'm certainly not the young man I was then. And so it's a big, big question. On the other hand, in the early ‘70s, a great deal of what I had to do was actually going out and finding the films and seeing them. Well, of course, that is transformed now. Life is so much easier in that in a way you can virtually dial up the films. And that has made things very different too. But I don't know the answer to your question. You mentioned the Johnny Carson piece. When I first did the Johnny Carson piece, which I think was in the Third Edition, I'm not quite sure. But when that appeared, it stirred people up, because they said, what's this? Johnny Carson. And I tried to do the piece in a way to say, you've probably watched Johnny Carson more hours than you have watched anyone else you've ever seen on screen. The novelty of that, the surprise of that and the point of it has passed. Because we have a generation that literally doesn't know who Johnny Carson was. So maybe you have to re-do the Carson entry. And you would certainly have to put someone like David Letterman in the book. He should be in the book obviously. But David Letterman will pass too. We were and are probably hero worshippers in that we loved the people who made the movies. And we felt they would be there forever. They're not going to be there forever. And that's a very disconcerting aspect of the whole thing we're into. I think the Carson entry was indicative of the way your work shares a certain affinity with Greil Marcus's, where you're illuminating the nodes of the culture that are not ordinarily acknowledged as such. Johnny Carson is not acknowledged by most film scholars as being someone who's important to film. Right. And you touch there on a matter of fact that is important. Greil and I have been friends for the last 30 years, I suppose. Since I came out to the Bay Area. And he's been a big influence on me. And I've learned a lot from him and maybe he's learned something from me too. But it's been a very fruitful relationship. There's another point about the book. I wrote the book as an Englishman. The First Edition was conceived and done entirely in England. In fact, I came to America almost at the moment the book was published. Well, I've been here now longer than I ever lived in England. I am an American citizen. I still feel English in lots and lots of ways. But the author has become a different person. There is, over the different editions, a not even subterranean account of your coming to terms with America as someone living here. One of the problems with being as good a writer as you are is that it creates really high, high expectations from your readers. And I'm thinking about the Third Edition and I'm thinking about your entry on Mikio Naruse, in which you wrote of not being conversant with his work, which excited such consternation, I remember, from then-“Village Voice” film critic Georgia Brown specifically. At the time I took that as a refreshingly honest admission that even the most authoritative and well versed critic can't see everything. And I was moved by your note of anticipation at the end of the entry, but it was greeted with such…”outrage” is maybe too strong a word, but just a sort of disbelief. I was in the same boat as you at the time—hadn’t seen a single Naruse film. So I was fine with it. But that entry and the way people took your initial Wes Anderson “watch this space” entry as being kind of arrogant; do some of these reactions throw you for a loop? Well, as we’ve established, the book is meant to stir people up. And if it stirs them up and if they take a jab at me, I can't be surprised. I think the critics should be content to be criticized. This isn't an orderly, serene book. I agree that it has some of the appearance of that. But if you get into it, I think you'll find that it is the opposite. And if people argue with it and fight with it, and get infuriated with it, it doesn't throw me for a loop. No. I wish there was a forum for a more sort of regular discourse about it. The other thing that I wanted to talk about is how you and the book are very up front in terms of certain personal things. Your close relationship with filmmaker James Toback for instance. Which I presume continues. Oh, absolutely. Yeah. Yeah. No, he's been one of my great friends. And there's another thing. Anybody who does what we do gets into contact with some of the people we're writing about, and some of the contact is not very pleasant or useful. But sometimes it's the opposite. It's tremendous. I think one has to be prepared to own up to that and talk about it. There again, when I did the book originally, I had hardly met anybody who was in the book, if you know what I mean. Now I don't know what proportion I've met but it could easily be a third. Now, I've only met them and only with a very small number do I have what I would call a relationship where I think I maybe know them. But still that's not a very big effect. And that comes out of coming to America, and also coming to the West Coast. I think the more you learn about film production, the more you can distrust your own conclusions of how things happen in that world. Yes. And the more skeptical you have to be about film history of any kind. Sure. Well, I met a fellow from the Library of Congress many years ago who was talking about how film criticism and film history are kind of mutually hostile pursuits, because so much of film criticism is based on the hierarchy of firsts and so much of film history overturns the firsts--first closeup, first this, first that. Yeah. No, absolutely. I agree. Yes. What are you seeing nowadays that excites you? One of the features of this edition are entries about actors who are more commonly known from television drama. Well, it's a commonplace and I'm not sure that it may not be coming to an end even now. But we have had lately the great age of television, and far and away the most challenging things have been on television in long format. And again, I don't think these things will ever go on forever. Television has had golden ages before. And it may be that everyone's jumped on the bandwagon so that the bandwagon is sinking into the mud. But I was in England recently and I happened to go and see Gillian Anderson in “A Streetcar Named Desire, which has had tremendous reviews. I thought it was a very bad production and I thought she was not good in it. But I happened while I was there because I was staying in an apartment that had the tapes, I reviewed “The Fall,” that TV series that she did, where I think she's extraordinary. And it was a reminder that a talent like Anderson’s may be far more usefully catered to by television than any other medium.